I recently had the pleasure of reading The Princess Fugitive, the second book in the Four Kingdoms series by Melanie Cellier. You may recall that I reviewed the first book, The Princess Companion, last month. 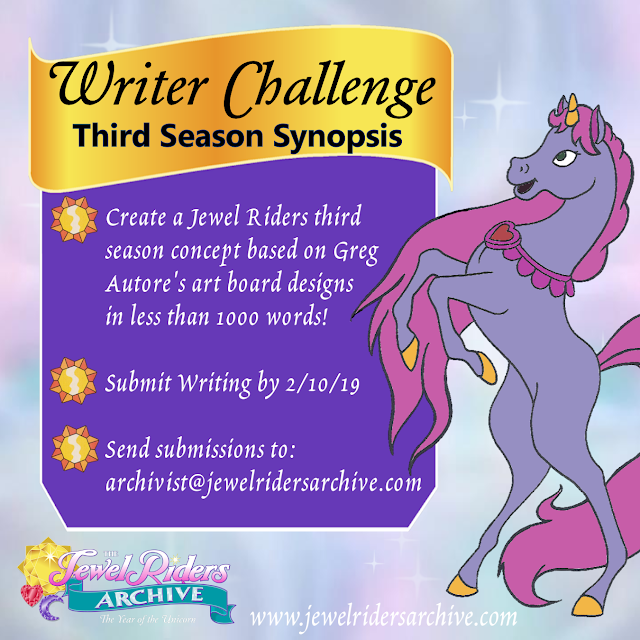 Since every book in this series is a retelling of a popular fairy tale, The Princess Fugitive was inspired by the story of "Little Red Riding Hood." However, it's quite clear from the book that there was no easy way to convert a fairy tale about a poor little girl visiting her granny into a novel about a cold and calculating princess. The book actually had very little to do with "Little Red Riding Hood" outside of a few superficial elements, including a prized red cape that the main character likes to wear often. I was very impressed by how fast the pacing was in The Princess Fugitive compared to The Princess Companion as well as the heightened levels of suspense. Perhaps that was because it had a more interesting main character. Princess Ava was actually the villain from The Princess Companion, but she goes through a great deal of growth in this book to redeem her past mistakes, making her easy to relate to. The story reminded me a lot of Palace of Lies by Margaret Peterson Haddix, which was also about a calculating princess who learned how to trust after being forced to evacuate the palace. The setting of Rangmeros is very similar to the Lakti kingdom from The Lost Kingdom of Bamarre by Gail Carson Levine. Both kingdoms are ruled by a long line of conquerors who prefer going to war over helping their people. 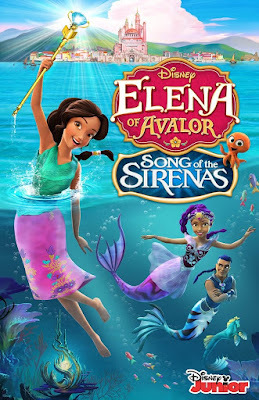 The story starts off very exciting with Ava narrowly escaping an attempt on her life and running away with her royal guard to go into hiding from the imminent danger. 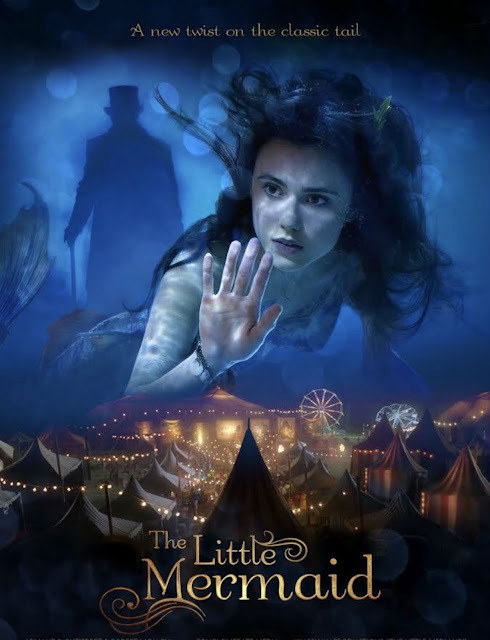 Her militant upbringing makes her repulsive to her fairy godmother, who refuses to help her at first, but does so anyway at the prompting of a higher power with subtle religious connotations. 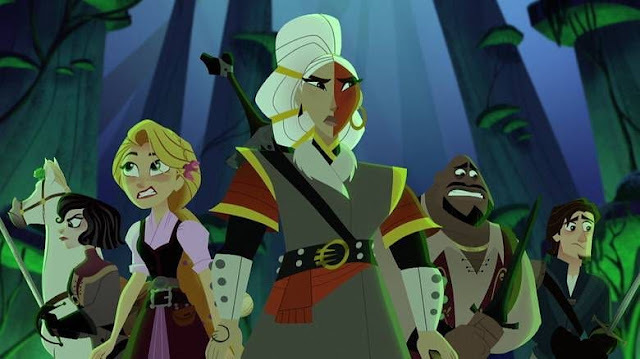 Armed with her new disguise, Ava and Hans take on the role of commoners and join a band of traveling merchants. Among them are two cousins, Sarah and Evelyn, who are complementary opposites. Sarah is outgoing and loves to play dress up, while Evelyn is a tough-as-nails guard who takes her responsibilities very seriously. With their help, Ava learns to open herself up to feeling emotions again and gradually sheds the "wolf" exterior that her father instilled in her. I loved how action-packed this book was from beginning to end. Ava's determination to take back her kingdom against all odds makes her an admirable heroine, and the lingering danger of getting discovered by her attackers at any moment kept me on the edge of my seat. It never got too frightening because her beloved Hans was always at her side to protect her at a moment's notice. Their romance was a lot more interesting than that of the oblivious Alyssa from The Princess Companion. Ava and Hans were both well aware of their feelings for each other but were trained from childhood to repress their emotions due to their responsibilities at court. It made the few romantic moments that they were able to share all the more precious. 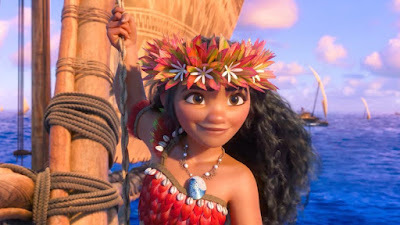 Since so much of this story was about Ava's learning to trust, it was very important that the characters she met along the way were unique enough to help foster her emotional growth. Sarah and Evelyn fit that bill perfectly. 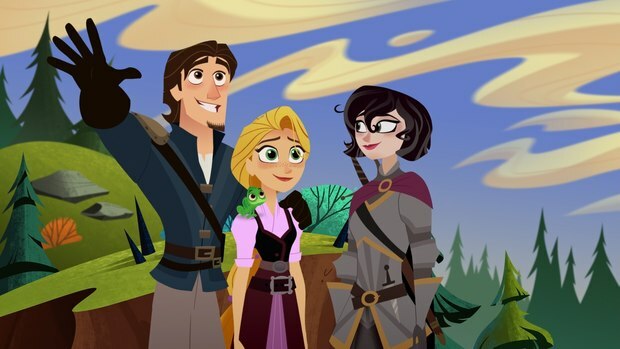 They are main characters in the next novella in the series Happily Ever Afters, which takes place after the events of The Princess Fugitive. Sarah and Evelyn have an adorable sisterly relationship, though they are very different in personality. 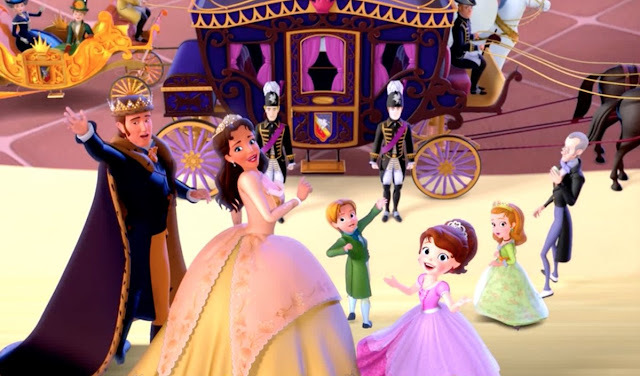 As soon as Sarah learns Ava's true identity as a princess, she eagerly leaps into all of the benefits a royal friendship would entail and proceeds to immediately raid Ava's closet just as any true girlfriend would do. Evelyn is usually quite serious, but Sarah knows how to get her to lighten up. 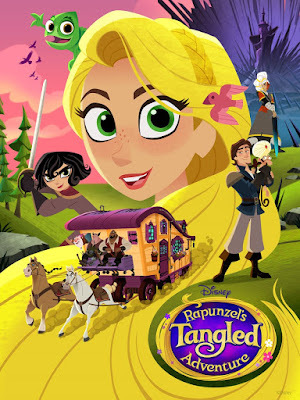 Evelyn reminded me a lot of Cassandra, Rapunzel's lady-in-waiting from Tangled: The Series. 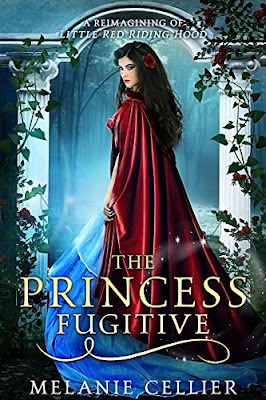 Overall, The Princess Fugitive is an exciting story with an intriguing heroine that is superior in almost every way to its predecessor, The Princess Companion. It has lots of action-packed adventure, fun characters, suspense, and a little mystery. It made me eager to learn more about the many other books that Melanie Cellier has written in the series. If you'd like to read another book that's loosely inspired by "Little Red Riding Hood," check out Blood Red, the novella I wrote in 2013 about a famous actress whose life turns upside down when she learns about the dangerous secrets of her past.